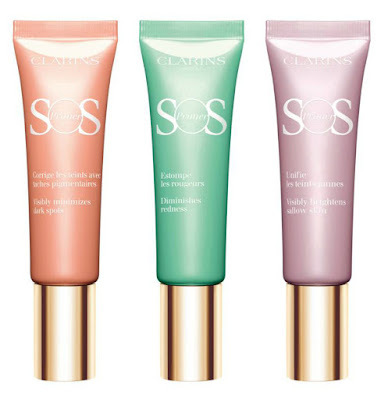 The French beauty brand Clarins will launch their SOS Primer Collection at the beginning of February. 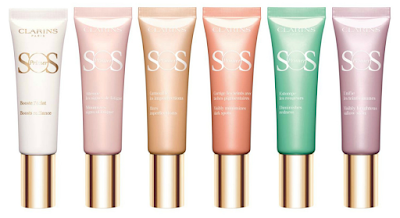 The collection of six (6) primers each designed to help with a certain skin care concern, have a light fresh oil-free formula to let the skin breath. 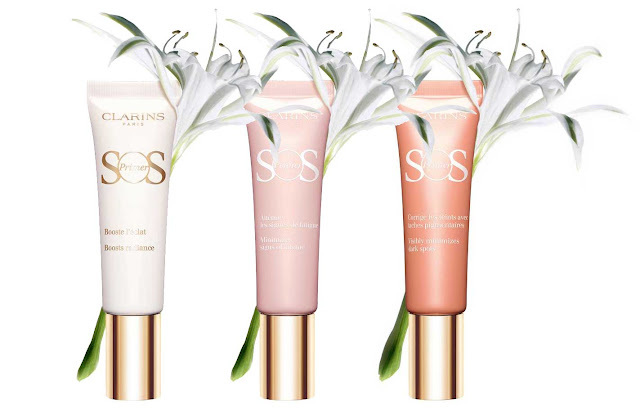 Powered by Organic Sea Lily extract the new SOS primers deliver 24 hour hydration and protection from environmental aggressors thanks to Clarins’ anti-pollution complex formula. 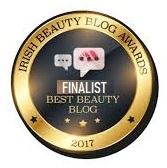 The ceramic texture of the primers in the collection smooths the skin surface and extends the durability of the makeup placed above it. In addition, they give skin moisture for 24 hours, thanks to an organic milk extract containing their formula. 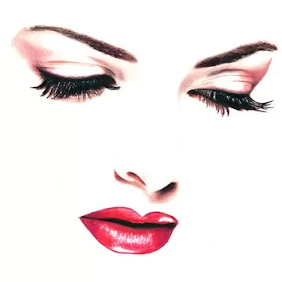 White is a color that is fully reflected and diffuses all wavelengths of light visible. When placed on the skin, the white shade of the primer gives the skin a beautiful glow, lightens and smooths the skin. 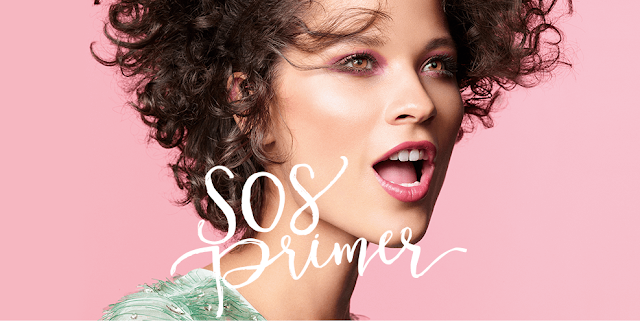 This lacquer-pink primer neutralizes areas with a dull or oval complexion on the skin of the face and gives it a fresh, refined look. It is also perfect for use under the eyes to obscure any imperfections. This primer comes in a beige shade and is actually used as a kind of concealer, whose function is to hide and blur various skin defects, such as bluntness, protruding capillaries and unevenness in skin color. 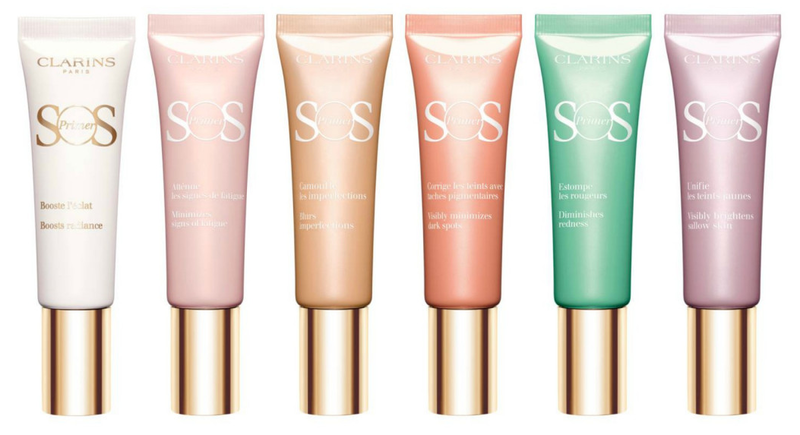 A primer with a light orange hue, designed to obscure pigmentation spots and skin blemishes. A greenish primer designed to neutralize redness and give the skin a calm and balanced look. 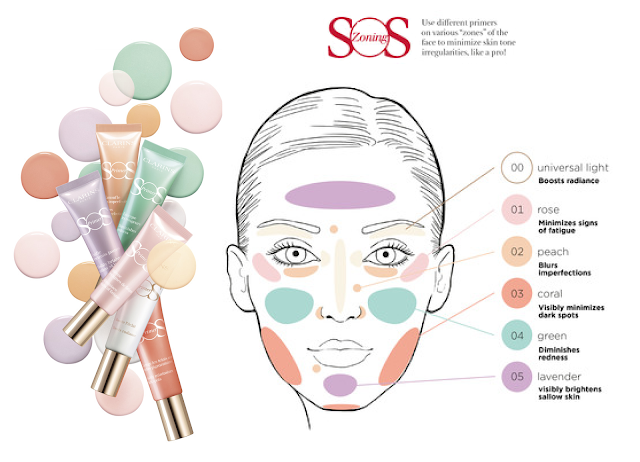 The primer can also be used to obscure acne, blemishes or red spots. Lavender Primer is used to neutralize yellowish tints in the skin. The primer also helps to neutralize dark spots under the eyes and dark spots on tanned and/or dark skin. 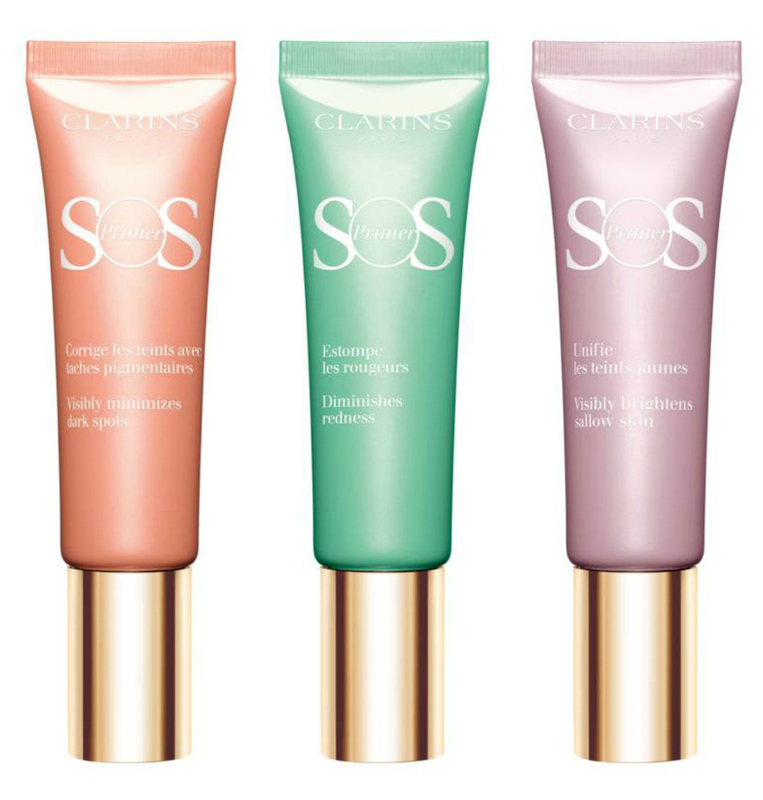 Clarins' new SOS PrimerCollection is expected to be on the shelves around the world starting in February 2018, priced at €36.60 each.